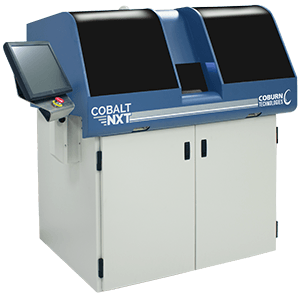 The Cobalt NXT is the successor to Coburn’s previous large-format free-form generator, the Cobalt DS. Together with the Cobalt NX generator, the Cobalt NXT represents Coburn’s next generation platform for lens surfacing. Automation Ready: Cobalt NXT has the capability to be upgraded to a fully automated machine for labs looking to completely automate their freeform processes. 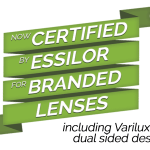 Superior Lens Quality: The quality of the lenses produced with the Cobalt NXT is far superior to that of the Cobalt DS. Cobalt NXT is designed for processing all indexes of lenses (1.498 to 1.74). On-Board Engraving: With engraving built in the machine, the need to purchase additional equipment is reduced, thus saving costs. Automated Calibration: Manual calibration is still available for those customers wanting to still control this process, but for those who want an automated machine, Cobalt NXT comes built with automatic calibration for faster and more efficient lens processing. Higher Throughput: Cobalt NXT comes with increased speeds and higher throughput than the Cobalt NX allowing labs to process jobs faster.